Lockport, NY - Retired Lockport Union Sun & Journal photographer Dennis Stierer tells Town of Lockport Supervisor Mark Crocker about this photo of a waterfall taken at John B. Austin Town of Lockport Nature Trail. 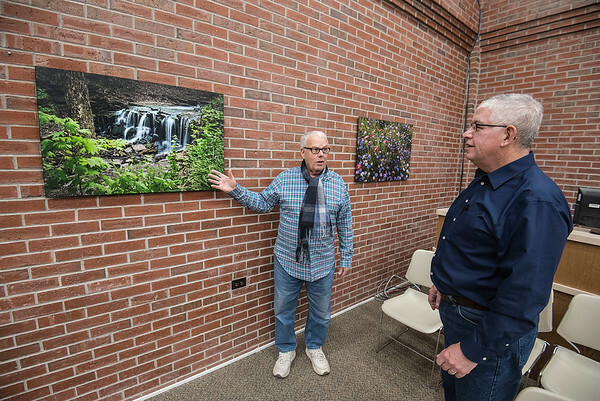 Stierer was contracted to photograph Town highlights and they are now on permanent display in the council chambers at Town Hall where he will be recognized for his work Wednesday Night. Supervisor Crocker invited to public to come see the photos and enjoy some lite refreshments.